Polish Championship in Software Testing is coming soon! Do you want to know who will evaluate work of the contestants? We are thrilled to introduce to you another jury member- Michał Zacharuk. 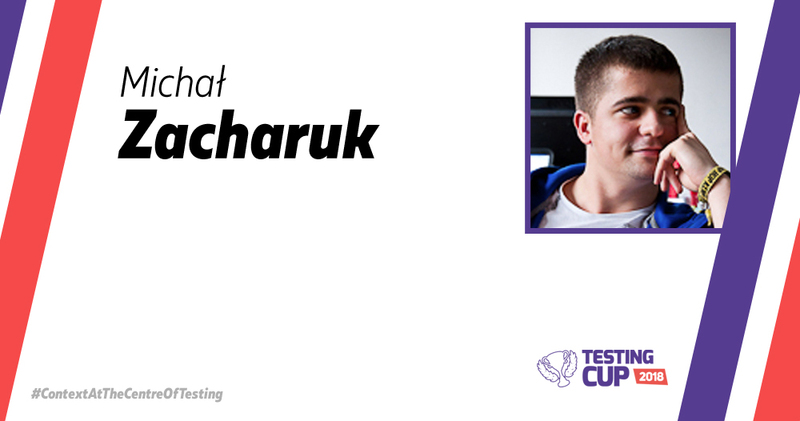 Michał is a member of the TestingCup crew since the very first edition. He decided to join it also this year as a jury member. Without a doubt he is the most experienced manual and automation tester in his age category. He realizes projects mostly in banking sector. He started and sharpened his testing skills at testerzy.pl. In his spare time, he transforms to the Witcher and during summer he attends all the music festivals.